Play it sleek as Lakmé Salon delivers the latest innovation to get silky straight hair with the launch of their new Hair Serenity treatment. Introduced to India by Lakmé Salon, the Hair Serenity treatment is a natural solution to hair that is unruly, frizzy and hair that refuses to behave. Unlike Keratin, the Hair Serenity treatment at Lakmé Salon is formaldehyde free and a safer process for achieving naturally smoother and shinier hair. Step away from the harmful effects of Keratin treatments and indulge in the natural goodness of ingredients like the Cysteine Complex to get a glossy and healthy mane that will make heads turn. A pioneer in the beauty services industry in India, Lakmé Salon is a one stop shop for all the beauty needs of the contemporary Indian woman. 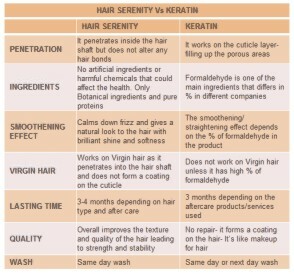 The Hair Serenity treatment is a natural way to restore lost proteins and transform hair. Special ingredients used in the service like Cysteine, Dendrobium Orchid, Hydrolyzed wheat protein, Cocoa Seed Butter and Shea Butter help nourish the hair and give it a long lasting shine and smoothness. Cysteine hair treatment was something totally new to me, and I'm so glad I got a chance to experience it recently. Will show you how it went shortly. oh wow, i need this! should get this done next time i'm in india. how much does the treatment cost? I've been blow drying my hair pretty much every second day so getting this done would definitely save a lot of time and be much healthier for my hair! Wow. what timing.. I have been researching the net for the last two hours for safe relaxing treatments in India.. and decided to check out your latest post.. and tada! Definitely going to check this out.. cant wait to see your results! Sounds so interesting. I wonder how much it costs? I will have to check it out soon. Does anyone know if this is available in the US? Just google 'cysteine treatment for hair in US/your city', and you might find out. This is one of the best and safe relaxing treatment for your hair. Its available on India's best saloon, Lakme India. Does the hair remains the anti-frizziness for atleast 6 months? hi ! did it lead to any hair fall?